Rhythm Objekt, Techno / House / Trance Sample from Fixed Noise. All of the sound design was created by NYC/Detroit artist Jimmy Edgar. Rhythm ObjektFixed Noise says that these sounds are ideal for "producers looking to add electronic flavor to their tracks and electronic artists who believe computers have a soul. Rhythm Objekt is flexible and includes a plethora of drum kits, synths, organs, loops and spectral lust". Each instrument comes with alterable effects specifically chosen for the instrument and envelope modifiers. Chords: What would Electro-R&B be without some minor chords? Chords of all kinds are featured in these instruments. Drum Kits - Individual hits of drums kits that are traditional and non-traditional electro, R&B and Urban. Experimental: The stranger, although still very useful, side of the library. These instruments feature everything from moans to scripted-random sequences. 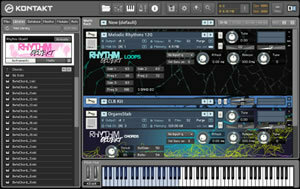 Loops: Get the style down quickly with these loop instruments. Melodic: The single note instruments. Bass and pads are also included in this category. 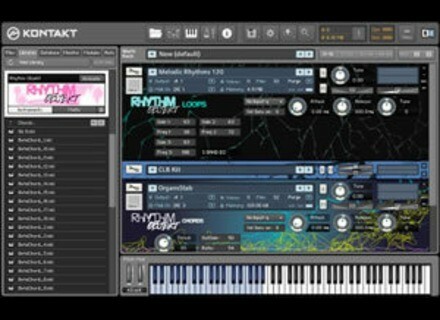 Rhythm Objekt comes with Native Instruments' Kontakt Player 3, so no additional purchase is necessary and thus is available for Windows (incl. x64) and Mac OS X in stand-alone and VST, AU and RTAS instrument plug-in formats. The retail price is $199.99.